To break it down in simple terms, a facial is a deep treatment involving multiple steps to perfectly cleanse and hydrate the skin. Did you know that your skin cells are renewed every 28 days? 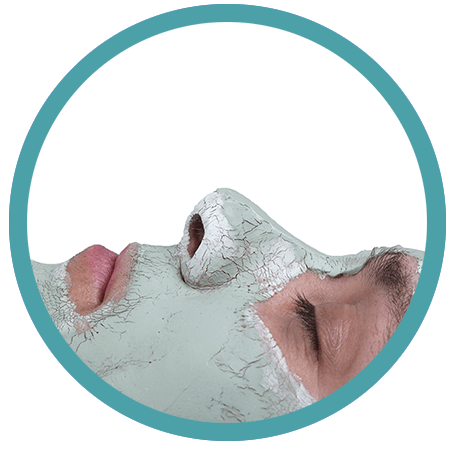 The buildup of these dead cells combined with the sweat and sebum produced by the body along with environmental dirt can clog pores, resulting in a tired and neglected skin. Since there are several types of facials, a proper skin analysis is essential in order to determine the skin type and problem areas. A basic facial consists of a deep cleansing, a proper exfoliation, the removal of blackheads, a stimulating massage and a face mask. The objective is to purify the skin and calibrate its moisture content. It is adjusted according to one’s skin type and age group and is therefore recommended for every seasonal change. According to specific needs, a facial can also address concerns such as skin ageing where the course of action will therefore be to stimulate the natural collagen and firm the connective tissues. Other skin problems, such as acne, rosacea, sensitivity, excess sebum to name a few can also be addressed with a specific facial. The facial experience is all together treating, relaxing and educational. The skin care routine is therefore recommended for every skin type as well as people of all ages groups. The ideal facial for every seasonal change. This treatment is personalized to everyone’s skin type and age group making it essential all year round. Based on powerful active ingredients to revitalize the natural functions of the skin and normalizes the complexion. The feeling of fresh, clean skin will be waiting for you in this relaxing facial. The traveler is exposed to sun damage, climate change, environmental pollution and stress. The traveler might also indulge in certain pleasures of life such at alcohol and cigarettes which can leave your skin and tired and weary. This facial is designed to eliminate toxins and allow to skin to breathe. Powerful antioxidants promote circulation protect skin cells and normalize skin tone. THE VEGAN facial follows all the principles of the classic facial while using only certified *vegan, paraben-free, sulfate-free products. The ideal facial for any man, following a vegan lifestyle, that wants to take care of his skin. You will feel the freshness on your skin. The efficiency of the products makes it ideal for all skin types. Based on optimal relaxation, this treatment revitalises natural skin functions and normalises the skin tone. By the age of 40, the body has lost approximately 30% of its natural collagen. This facial excels by combining anti-aging plant stem cell technology to cell-active hyaluronic acid. With these active ingredients, collagen synthesis is stimulated to strengthen tissues and repair skin cells. The skin becomes firmer, more hydrated as signs of fatigue are diminished. Facial hair is worn by men of all ages, whether it be to create a style or to hide skin imperfections. The beard itself however is increasingly associated with hygiene and cleanliness issues. Environmental dust or pollutants can accumulate in the facial hair and cause discomfort, such as dryness, itchiness or eczema. This facial treatment pays particular attention to the skin under the facial hair as well as the beard itself. Essential oils provide antibacterial results and allows the skin to breath properly.